This symposium is the second international colloquium in the Ex Oriente Lux series and it was born out of the interdisciplinary research project Aegyptiaca: Ecumene and Economy in the Horizon of Religion, which is coordinated by the University of the Aegean and the University of Bonn. 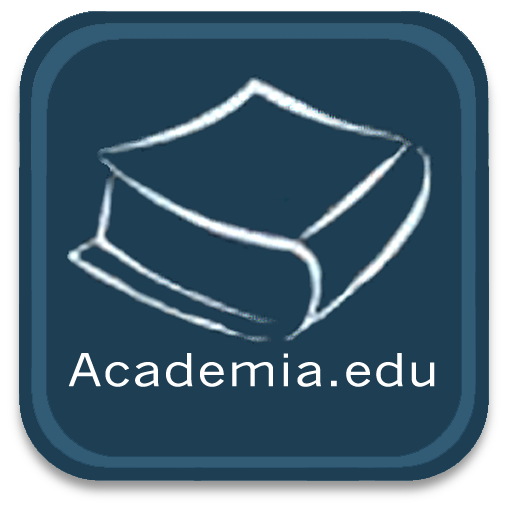 It focuses on the Egyptian and Near Eastern material from the archaic Greek sanctuaries and on the re-evaluation of the Egyptian cross-cultural interactivity with the Aegean world in the sphere of economy and religion. Organisers of Ex Oriente Lux II-Aegyptiaca Symposium: University of the Aegean (Panagiotis Kousoulis), University of Bonn (Ludwig D. Morenz), University of Thessaly (Dimitrios Palaiothodoros). Kasia Szpakowska (Swansea University) and the Egypt Center (Wales, UK) organize this international conference, which explores the range and variation of liminal entities the Ancient Egyptians believed capable of harm and help from the Predynastic through the Coptic periods. 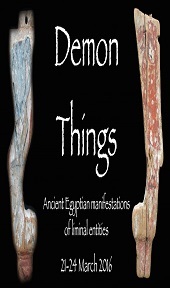 While previous demonological conferences focused on issues related to definitions, we invite scholars to discuss the manifestations of demons through iconography, objects, or textual descriptions. Scholars are encouraged to present their findings in the hopes that the conference will provide a creative venue for spotting links and patterns. By converging different areas of research a fuller picture of these multi-faceted entities may emerge. The conference is open to all. Events include an optional trip to the magical Gower Peninsula, a special Egypt Centre “Night at the Museum”, cheerful dinners, and more! 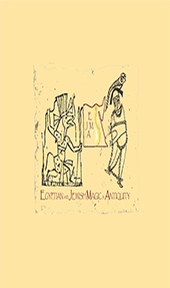 Prof. Gideon Bohak, Dr. Rita Lucarelli and Alessia Bellusci are pleased to invite you to participate in the conference “Egyptian and Jewish Magic in Antiquity: Contexts, Contacts, Continuities and Comparisons,” which rises from an international collaboration between the University of Bonn and Tel Aviv University. 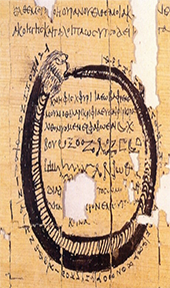 The conference, which will be held at the University of Bonn from the 6th to the 9th of July 2015, will be a major forum for academic researchers to exchange their innovative work in ancient Egyptian and Jewish magic. The focus of this meeting will be on the historical continuity and change of ancient Egyptian and ancient Jewish magical practices from antiquity to the early middle ages. Particularly, our aim is to study the similarities, the differences, and the points of contact between these two magical traditions, with a strong emphasis on the impact of Pharaonic magic on early medieval (Coptic, Jewish and Islamic) magical practices. Το Τρίτο Πανελλήνιο Φοιτητικό Συνέδριο Αρχαιολογίας, συνεχίζοντας την παράδοση που ξεκίνησε με το Πρώτο Πανελλήνιο Συνέδριο Φοιτητών της Κρήτης το 1991 και το Δεύτερο Πανελλήνιο Φοιτητικό Συνέδριο Αρχαιολογίας των Ιωαννίνων το 1993, οργανώνεται από το Τμήμα Μεσογειακών Σπουδών κατεύθυνση Αρχαιολογίας, του Πανεπιστήμιου Αιγαίου. Το συνέδριο και η οργανωτική επιτροπή στοχεύει στην προσωπική και συλλογική αρχαιολογική μελέτη στην λεκάνη της Μεσογείου. Μέσα από την έρευνα θα δοθούν απαντήσεις σχετικά με το πώς στο μεσογειακό χώρο αναπτύχθηκαν διαχρονικά διαφορετικοί πολιτισμοί με κοινό γνώρισμα τις σχέσεις λαών που αναπτύσσονται από τους προϊστορικούς μέχρι και τους Βυζαντινούς χρόνους. 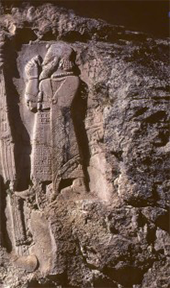 In ancient Mediterranean studies, a key area of current research concerns the lively cultural and especially artistic interaction between the Mediterranean and the Near East, including Egypt. In recent years, studies of artistic interaction in both the central and eastern Mediterranean world of the Early Iron Age have moved increasingly away from traditional “Orientalizing” notions of encounter to new models of transfer and reception. Fresh perspectives drawn from theoretical approaches developed in sister fields and disciplines, including anthropology and visual culture studies, have interrogated key concepts of object identity and challenged long-held assumptions about the mechanics of transfer (foreign or mobile artisans, commercially dominated networks). 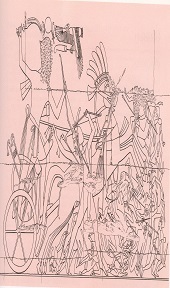 Once mutually exclusive categories of “Greek” and “Near Eastern,” “local” and “nonlocal,” “us” and “them” have been shown to be highly problematic and unworkable for a wide range of issues, including stylistic description and analysis, and in reconstructing the organization of artistic patronage and production. What are the implications of these newly fluid, hybrid categories for reconstructing visual cultures in antiquity more broadly? Το Τμήμα Μεσογειακών Σπουδών του Πανεπιστημίου Αιγαίου σε συνεργασία µε το Τμήμα Ιστορίας και Αρχαιολογίας του Εθνικού και Καποδιστριακού Πανεπιστημίου Αθηνών και το Τμήμα Προϊστορικών, Ανατολικών και Αιγυπτιακών Αρχαιοτήτων του Εθνικού Αρχαιολογικού Μουσείου εγκαινιάζει µια σειρά επιστημονικών συμποσίων υπό το γενικό τίτλο Ex Oriente Lux. Το πρώτο Συμπόσιο ήταν αφιερωμένο στην έρευνα και τη διδασκαλία των πολιτισμών της Αιγύπτου, Εγγύς Ανατολής και Κύπρου στα Ελληνικά Α.Ε.Ι. Διοργανωτές του Ex Oriente Lux I: Παναγιώτης Κουσούλης (ΠΑ), Νότα Κούρου (ΕΚΠΑ), Ελένη Μαντζουράνη (ΕΚΠΑ), Κωνσταντίνος Κοπανιάς (ΕΚΠΑ), Ελένη Τουρνά (ΕΑΜ). 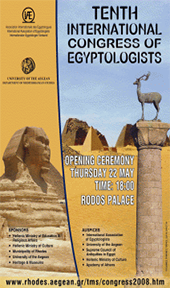 Tenth International Congress of Egyptologists (Rhodes, 22-29 May 2008) organised and coordinated by Panagiotis Kousoulis (University of the Aegean, Rhodes) under the aegis of the International Association of Egyptologists, the Supreme Council of Antiquities (Egypt), the University of the Aegean, the Academy of Athens and the Hellenic Ministry of Culture. First Egyptological Research Seminar at the University of the Aegean (13, 14 and 27 October 2005; 3-4 and 24 November 2005) organised and coordinated by Panagiotis Kousoulis with the participation of: Prof. Ludwig Morenz (University of Bonn), Prof. Yvan Koenig (CNRS), Prof. Anthony Spalinger (University of Auckland) and Dr. Nikolaos Lazaridis (University of Sacramento). 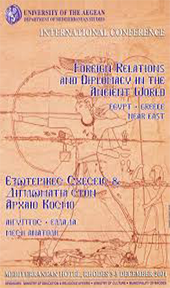 Foreign Relations and Diplomacy in the Ancient World: Egypt, Greece, Near East (Rhodes, 3-5 December 2004). 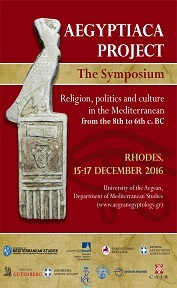 An international Conference organised and coordinated by Panagiotis Kousoulis and Konstantinos Magliveras (University of the Aegean, Rhodes) and funded by the project Pythagoras, the Ministry of Education and Religious Affairs and the Ministry of Culture. 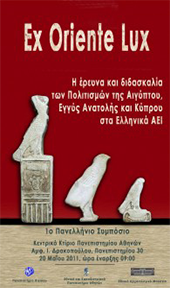 The first specialized Egyptological Symposium ever organized in Greek academia. The Symposium was coordinated by Panagiotis Kousoulis (University of the Aegean, Rhodes) and Mark Collier (University of Liverpool, UK) and was funded by the University of the Aegean, the Ministry of Education and Religious Affairs, the Ministry of Culture and the Avaton Journal .